Our diamond sponsor would like to draw your attention to the following webpages. It is no secret that the High Tech sector is one of the major growth area’s for the Dutch economy. The southern part of the Netherlands, centered arround the city of Eindhoven, contains a large number of organizations such as NXP, Philips, FEI, ASML, the Technical University of Eindhoven and the High Tech Campus, which shape a strong and interrelated high technology ecosystem. As a matter of fact, last year Eindhoven received an award as the smartest region of the world and this year again it has been selected to be one of the best regions for the High Tech startups. The digital era is shaped by disruptive innovation with new technologies. 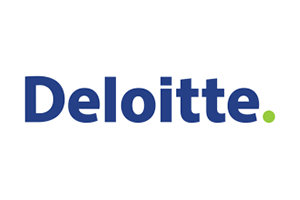 Each year, Deloitte identifies the trends that are most likely to disrupt businesses in the next two years. This 7th edition focuses on virtual reality, the Internet of Things, block chain, platforms, socially responsible applications of technology and more. Explore these trends and view the full report PDF. During the Executive Edge CEO Session of May 24, 2016, Constantijn van Oranje-Nassau interviewed Travis Kalanick, the founder and CEO of Uber. They discussed how to beat digital disruption and awake the founder’s spirit in corporates. Data is the new oil. Where are the refineries? To realize data’s full potential takes more than talent, platforms, and processes. It requires creating a structure for data assets and their use in analytics that can enable repeatable results and scale.